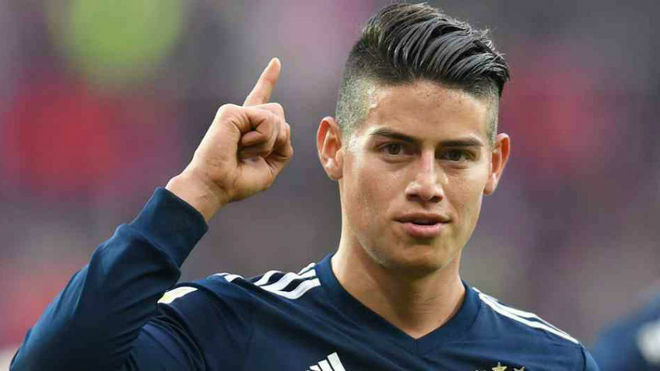 Things have turned around a little for James Rodriguez at Bayern Munich and Niko Kovac is relying on the Colombian, who has returned the confidence by delivering good performances and assists. James‘ future, though, remains up in the air and the Bavarians are still considering the idea of exercising the purchase option in his loan agreement with Real Madrid for 42 million euros. The main problem at the moment is that, as revealed by MARCA Claro Colombia, the player has told the club that he doesn’t want to be there and is keen to return to Real Madrid, even though his future at the Estadio Santiago Bernabeu is also an uncertainty. There are a number of possibilities opening up and one of those to emerge has been Arsenal, but he isn’t seduced by the idea of playing in the Premier League. In his head he wants to play at Real Madrid, but if that doesn’t happen he will have options and Cristiano Ronaldo has reportedly already called him to say he would be welcomed at Juventus. Therefore, everything is still on the table, but Arsenal‘s hopes have taken a hit.